I have always admired people who are “tough”. I do not mean “tough” in the sense that they could win every fight that they are in. I look on tough people as those who will continue soldering on no matter what obstacles are placed in front of them. These people, whether they are a mile in front or a mile behind, are always trying their best to the very end. These people can be in any walk of life, not just martial arts. They are the type of people you would want in the trenches with you, as they are committed. For me, commitment is different to being motivated. Getting motivated is easy. You can read an inspiring article, or watch something on YouTube, and get motivated. However, motivation does not get you out of bed early to get to training. Motivation does not get you to the dojo. But commitment does. “Tough” people are committed to what they want to achieve and making it happen. When you are committed, you make decisions that lead to your ultimate #goal. 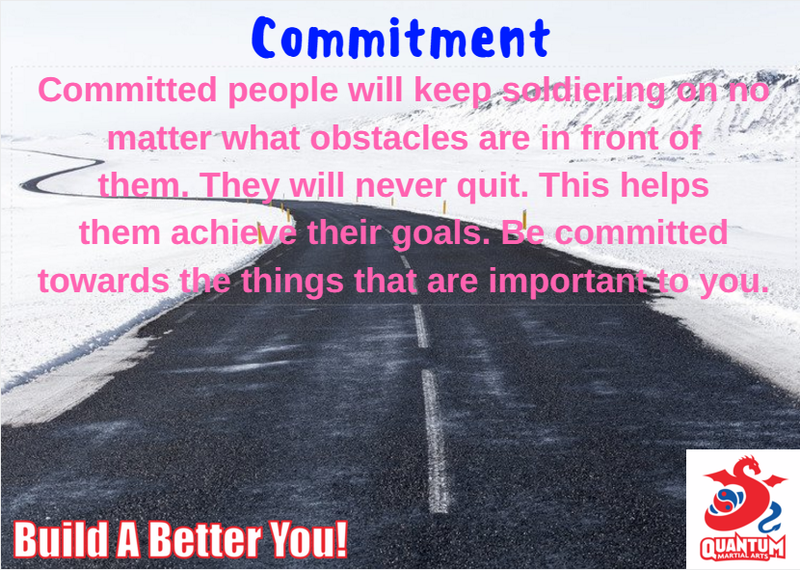 When you are committed to yourself, it is not a matter of if you accomplish your goal, but when. You will not quit when things get tough. To help with commitment, be ready to accept whatever the day throws at you. Tough day in the office? Traffic on the way home? Who cares. Everybody is busy and everybody has “stuff” going on in their life. Simply accept that there will be an obstacle in your way today, but do not let it stop you doing what you need to do. Be committed to yourself and your day. And enjoy the day at the same time.